(Editor’s note: Mason Reed has been writing songs since the age of five and he’s been perfecting his brand of Americana ever since. His upcoming self-published EP is co-produced with engineer Steve Holroyd (Ryan Adams, Tom Petty) and can be pre-ordered here. 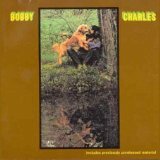 New to Bobby Charles? Start here: Bobby Charles’ record was a big inspiration while we were making the EP. It was weird ’cause he passed away the morning after we wrapped our mixing sessions. As soon as we finished our record, Bobby Charles checked out. It was very strange because we played that record over and over for the 6 months leading up to the recording. Josh Norton turned me on to it….good stuff.